I'm still down with the flu, so today I'm playing catch-up. Today's ink is Robert Oster Blue Sea. I purchased my sample of ink from Vanness Pens. Blue Sea is a beautiful medium blue. When pooled, there is a beautiful dark pink sheen. So far this ink reminds me of Robert Oster Soda Pop Blue, so we will compare them in a little bit. Ink swabs for comparison, left to right (top to bottom for mobile RSS): PenBBS 183 Platycodon Grandiflorus, Robert Oster Blue Sea, and Noodler's Watererase Blue. Click here to see the Robert Oster inks together. Robert Oster School Blue, Robert Oster Soda Pop Blue, and Robert Oster Blue Water Ice. Click here to see the blue inks together. Blue Sea is very close to Soda Pop Blue. I used a broad Pelikan M805 Ocean Blue on Tomoe River paper. The ink had a nice wet flow. 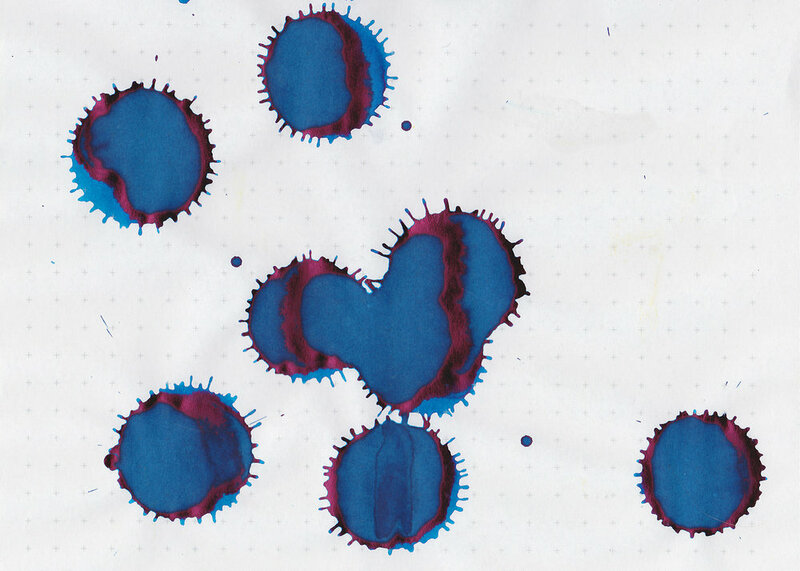 Overall, this is a really lovely ink. It is very close to Robert Oster Soda Pop Blue (which I love). I don't think you can go wrong with either one, but you probably don't need both. Give it a try, you might love it.